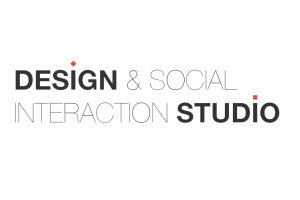 Design and Social Interaction Studio brings an interdisciplinary group of faculty and students together to examine the experiential and participatory dimensions of digital media and their relationship to establishing and supporting democratic forms of social interaction. Research at the studio spans both theoretical inquiry and experimental design, situated at the intersection of Design, the Humanities, and Human Computer Interaction. We design and investigate a variety of design products and services (e.g., locative media, visualizations and mapping, policy media, social and educational media) drawing on a range of design methods and strategies, most notably participatory and co-design methods, ethnographic methods, and experimental designs. Projects are often in collaboration with other units on campus, other schools, as well as local non-profit organizations. Among current collaborators are Schools of Public Policy and Electrical Engineering at Georgia Tech; the iSchool at the University of British Columbia; Mayo Clinic; and local organizations such as Marcus Autism Center, Children's Healthcare of Atlanta, Fulton County Department of Health, and Central Atlanta Progress.